What a weekend in the Pacific Northwest! The hours of daylight are increasing and the sun was out in a wonderful warm way. 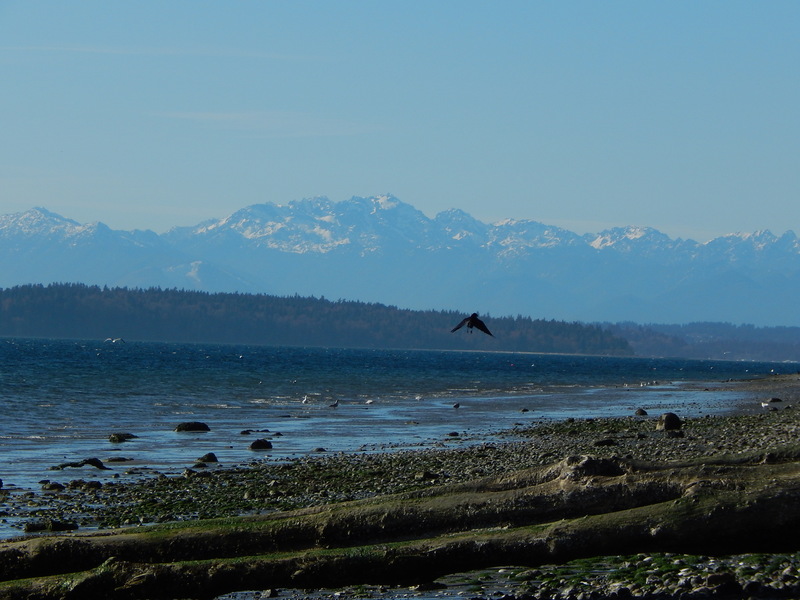 The crows and a young eagle were making the best of it just like us humans. We were all putting our beaks in the sun! At the beach the tide was out and the sky was crystal clear blue. 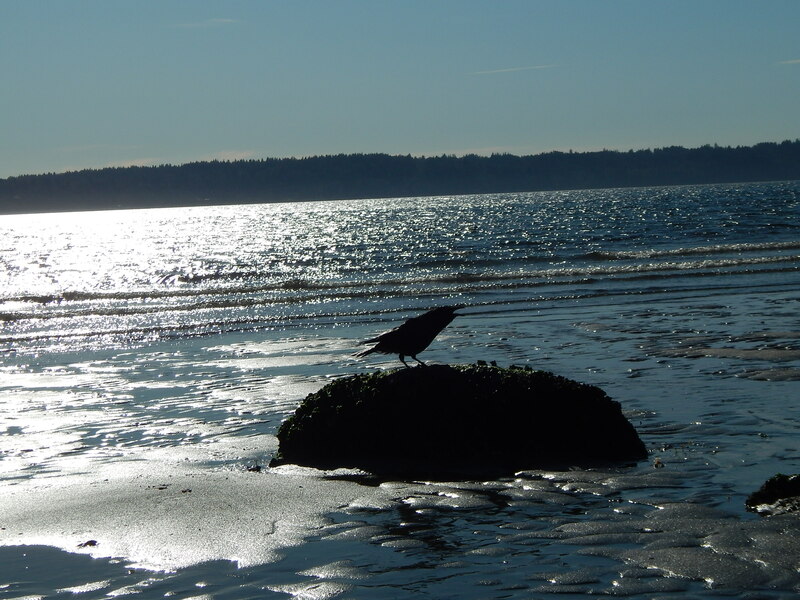 This crow was sitting on a rock telling the world about the sparkle. The flock was not shy as I fed them peanuts with the youngsters daring each other to see who could get closest. This adult guard posed on a piling for me in the sun. 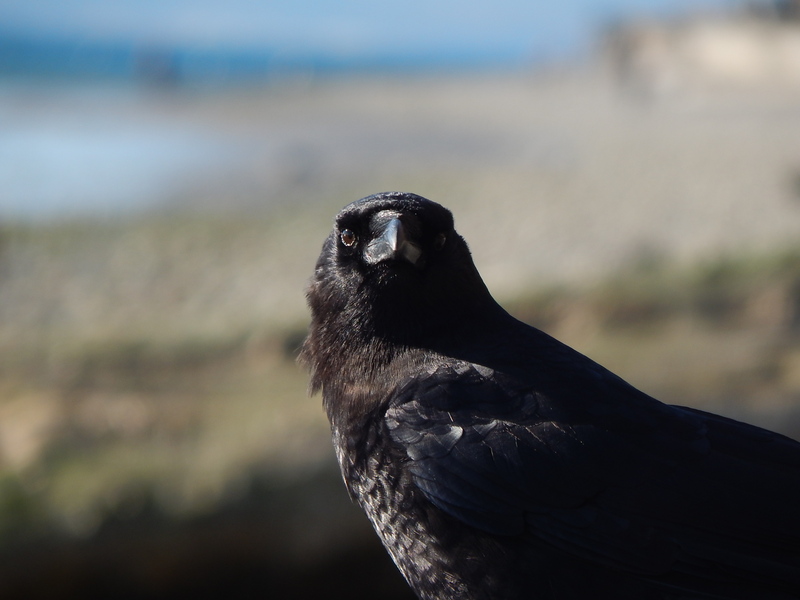 Crow doing his composed look to the water. 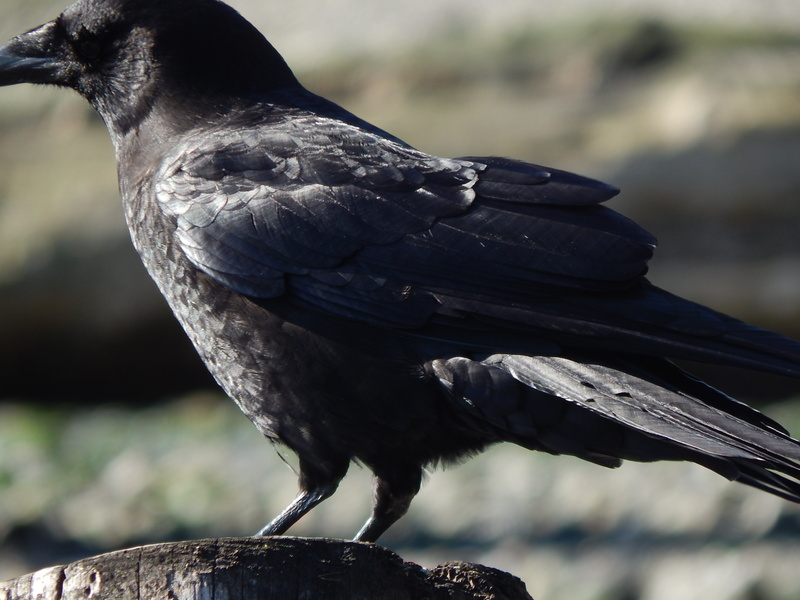 His black plumage is iridescent. Remember how I talked about their true color is ultra violet and that helps them identify each other. I am so crow beautiful! Then he turned to at me and gave me the look of …. where is the peanut? Get with the food look! The photo at the top shows a take off shot. This next one is a beach landing. I left the beach with a smile on my face and started my trek home. Close to the 35th – Marine View Drive hairpin corner park I spotted an odd looking blob in a fir tree. It was just too big to be a cone and didn’t look like a bough. It was a young eagle! Not just a fir cone! 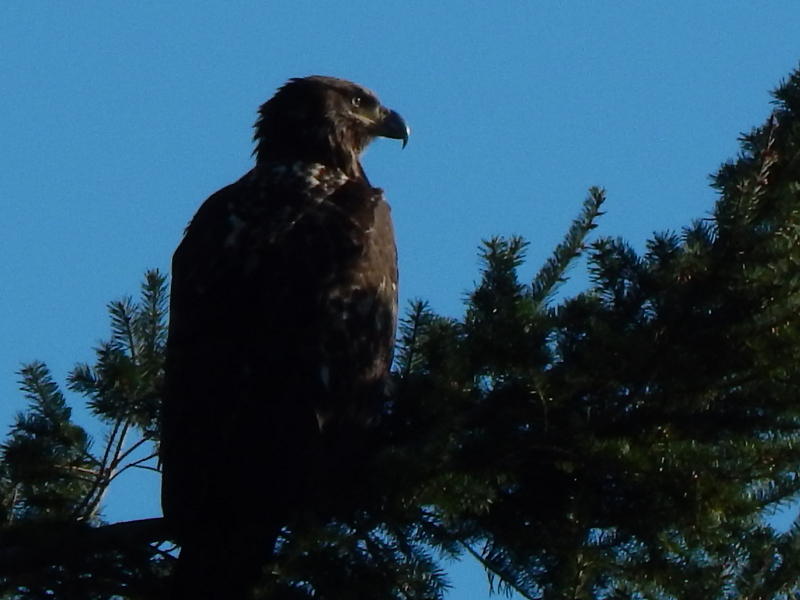 It is an eagle! Talk about serendipity!! 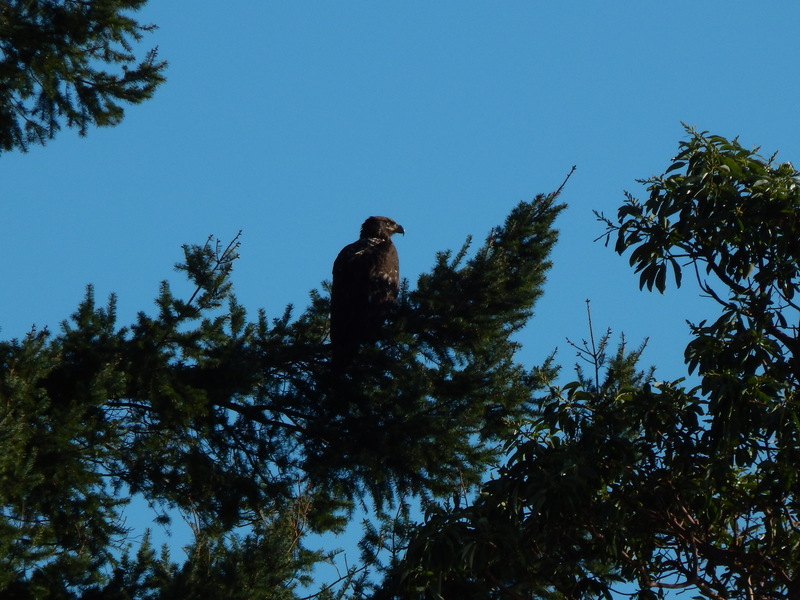 What a great opportunity to see a magnificent bird watching the water from up on the bluff. I got down on the sidewalk, balanced my camera on my knee and zoomed a few shots of this youngster. 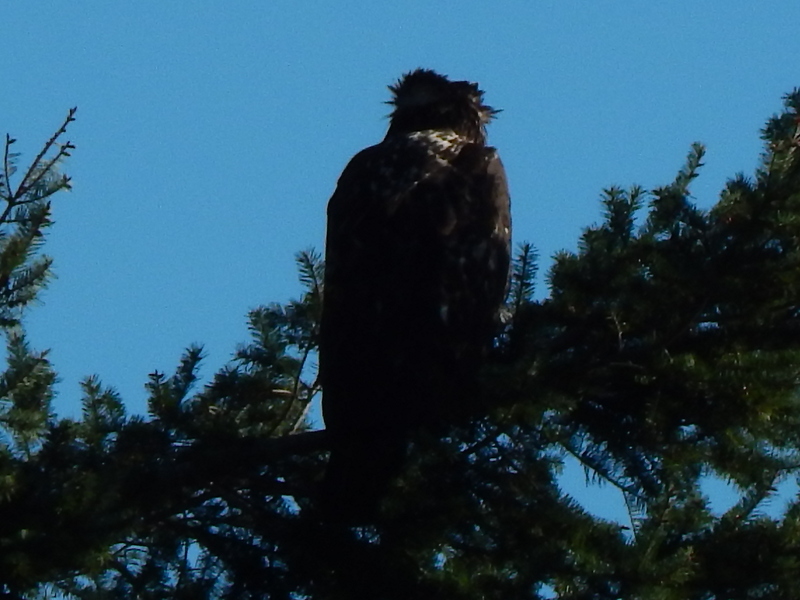 The wind was blowing a little and this next shot shows his head feathers getting ruffled. Then to make the scene complete an older couple with their dog came walking by. I decided I should get up off the pavement or they would think I was crazy or hurt. Showed them the eagle and shared my binoculars. They were amazed and their happiness made my day even better. Sun, birds, serendipity all come together for those that look up and cherish the moment. Get out and bask in the spring sun! 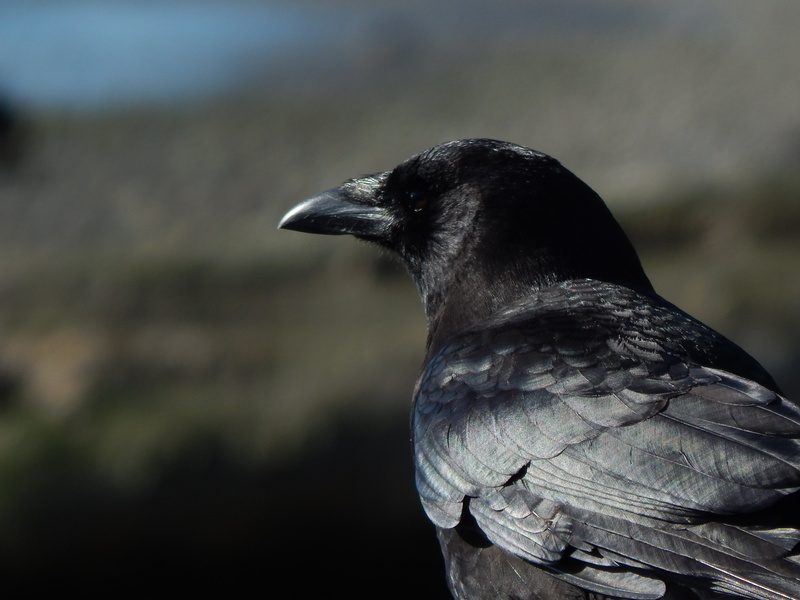 Beautiful photos – beautiful crows. And the eagle wasn’t bad either.